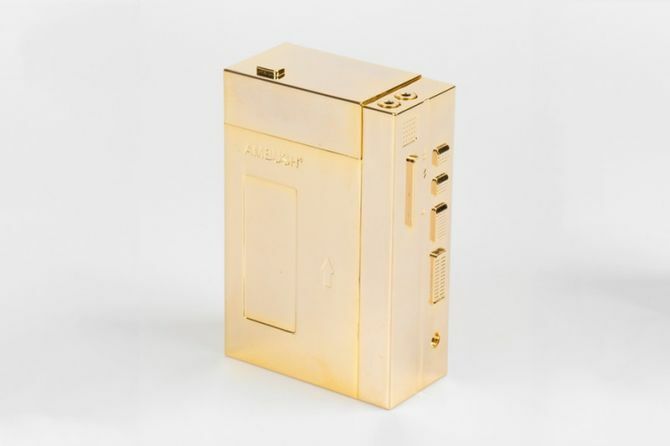 For those who simply can’t do without music and cigarettes, Tokyo-based firm AMBUSH has created a stylish Cassette Player Cigarette Case to add nostalgic flair to your smoke time. The brand is often known for combining riotous rock and vintage Americana in form of such avant-garde designs. Keeping up their signature style in mind, they have now brought something stylish, classy and cool for smokers as well as music lovers. 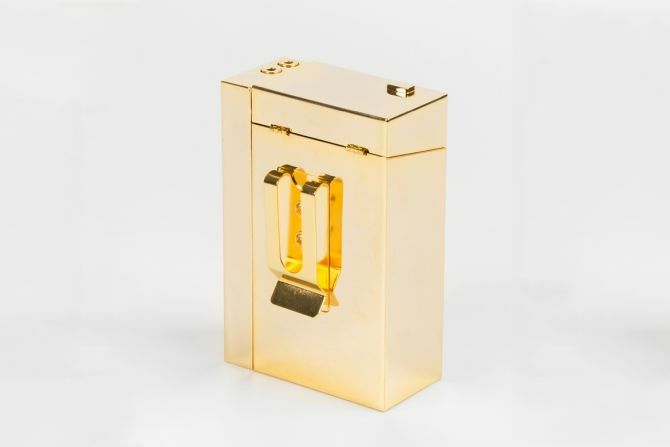 The luxe cigarette case inspired by a cassette player boasts gold- or silver-toned exterior. 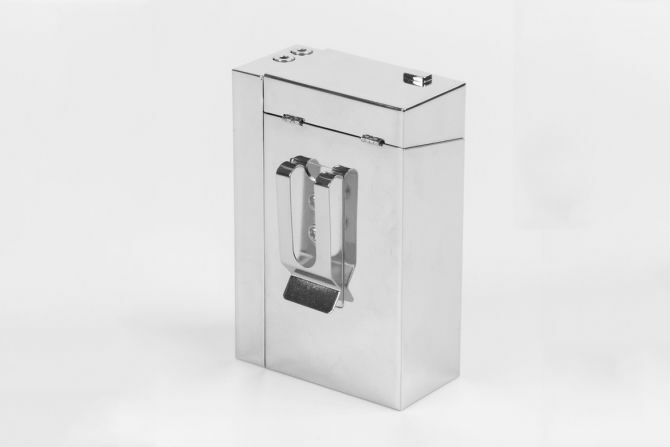 The metallic body of the cigarette case is etched with the brand’s name while the interior is velvet-lined to keep cigarettes safe. 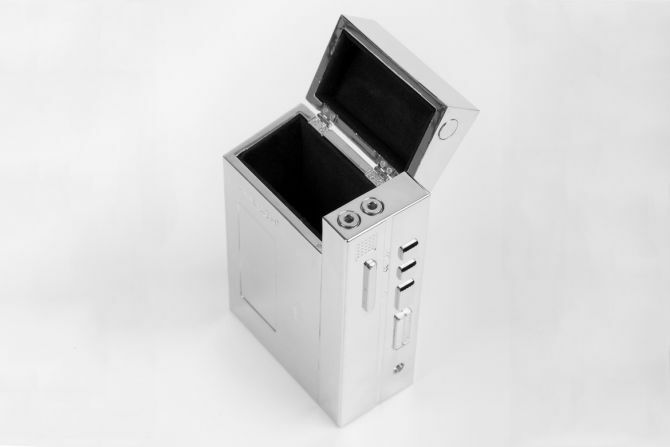 The case has been designed to be handheld or attached to belts or wallets. 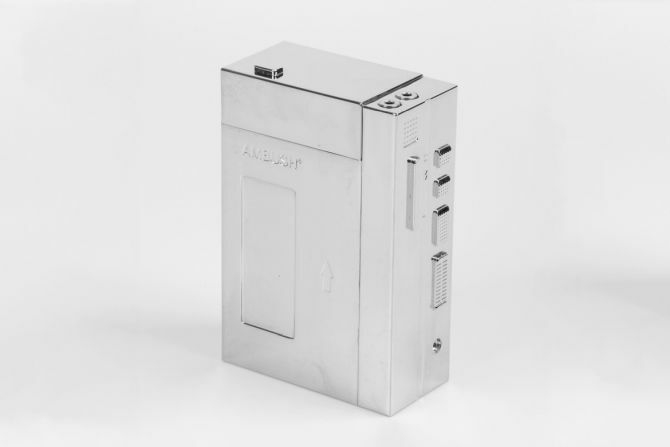 This means one can easily carry their sophisticated cigarette case to anywhere they go. All thanks to the metallic pin, you can fix it to your shirt’s pocket, wallet or belt so that you don’t misplace it accidentally at a party or any outdoor event. You can add extravagance to your regular smoke time with this elegant Cassette Player-inspired cigarette case. 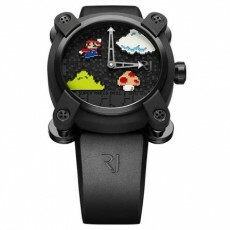 It is available at Colette’s online store for €400 ( approx. $470 USD).